A debate sparked in the comments section of a Facebook post regarding the Financial Committee (FINCOM) of the Yale-NUS Student Government has raised concerns in the student body about whether the committee is overreaching its role in the Student Government. The post was made by Aditya Karkera ’20, Director of Finance of the Student Government, on Oct. 23, 2017 in the Yale-NUS College Students group. Karkera asked for feedback for an idea the committee had for a consolidated ticketing system for events run by student organizations. However, many commenters took issue with views expressed in the Oct. 18 FINCOM meeting minutes attached to the post. Of particular concern was whether or not such an initiative would fall under the jurisdiction of FINCOM, as opposed to the Student Organizations Committee. According to the FINCOM minutes, while the Student Organizations committee was a “good bunch of people”, they were not “vetted for qualifications and backgrounds in financial management”. Commenters also disagreed with Karkera’s assertion that the allocation of budget for student organizations was under FINCOM’s purview. Many commenters also took issue with the tone used by Karkera in his responses. A concerned member of the student body brought up a request for review with the Judiciary to question whether Karkera was in violation of the student government constitution for making an online statement in his official capacity as Director of Finance, without first informing the External Communications Director and obtaining approval from the President. He was unanimously found not in violation of the constitution as he had obtained permission from Brandon Lee ’20, President of the Student Government, to do so. Since then, Lee has taken steps in hopes that a similar incident would not occur in the future, including sitting in on all FINCOM meetings, ensuring members of the Student Government inform him before engaging in potentially controversial or sensitive online interactions, while adopting a more affable tone in future online interactions. It was also made compulsory to submit FINCOM proceedings to him for vetting before releasing them to the public. Much of the confusion in the debate stemmed from the fact that FINCOM, which was known as the Budget Committee last semester, had only recently adopted the role of allocating the budget to student organizations. In previous years, the Budget Committee only served to allocate the budget within the student government. However, there is a constitutional precedent that allowed FINCOM to allocate the budget to student organizations, although it previously remained unused. A motion submitted on Nov. 9 by FINCOM, sought to reaffirm the role of FINCOM in budget allocation. 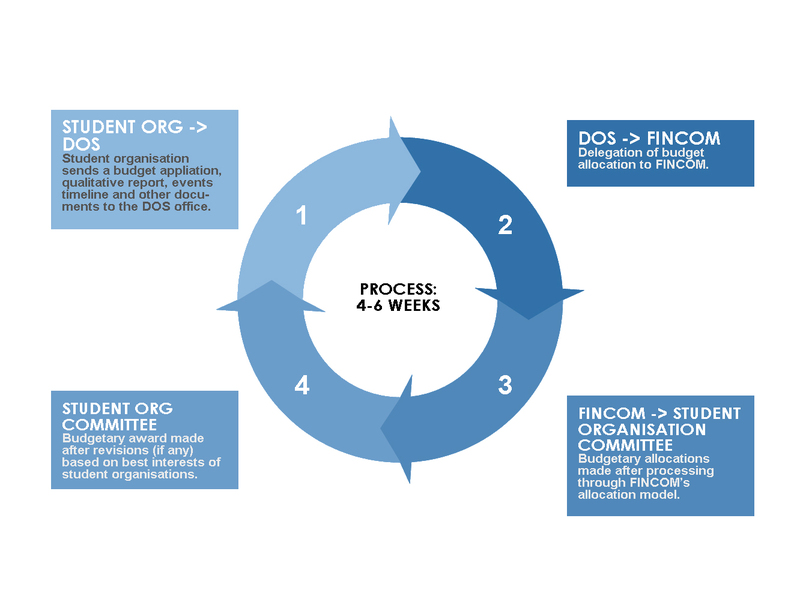 The motion states that FINCOM’s function and responsibility is to “develop and execute the preliminary allocations for all student organizations, under the wider charge of acting as fund managers for the wider government financial resource pool” and that the Director of Student Organizations and the Student Organizations committee can review and decide whether to accept, reject or amend these preliminary allocations before awarding the final budget. Lee explained that FINCOM provides an objective allocation of funds based on the proposals that student organizations submit, while the student organizations committee provides a subjective review as they spend time on the ground with student organizations and have the ultimate power to accept, reject or amend the preliminary allocations. “This system will allow the Student Organizations Standing Committee to have more time to look at the reports of the student organizations and organise events that directly benefit student organisations,” he said. FINCOM has yet to provide a preliminary allocation of funds and will do so as a trial in February of next year, when the 60 student organizations in Yale-NUS submit their budget proposals. After the cycle of funding next February, Karkera and Low, along with Lee, will prepare a report on the effectiveness of this system as part of the handover document to the next student government. The next government can then decide whether or not to retain this system.